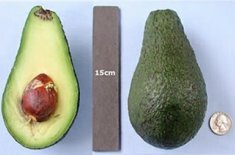 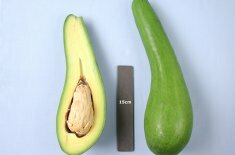 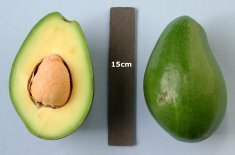 The avocado is a rather unusual fruit that eats like a vegetable. 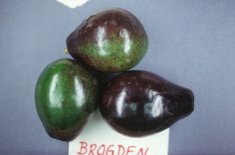 In Florida's early days it was known as Alligator Pear, and it still is by many growers throughout the South. 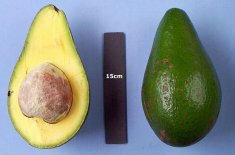 It is the only important edible fruit of the Laurel family, Lauraceae. 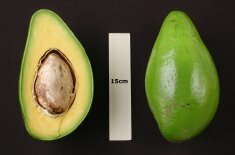 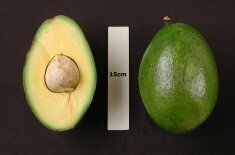 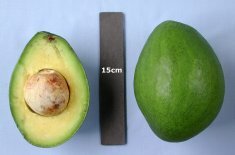 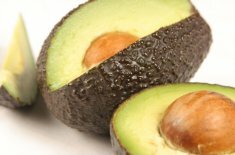 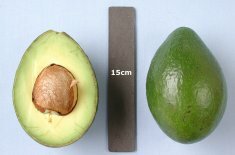 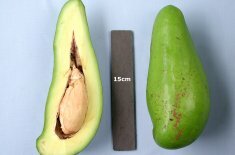 Botanists have classified the avocado into three groups or races. 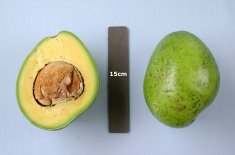 They are the Guatemalan, Mexican, and West Indian. 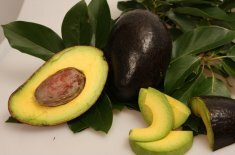 All three races are grown in both Florida and California, but it is the West Indian type that dominates the commercial scene in Florida, while the Mexican rules in California. 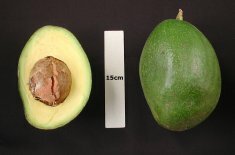 Avocadoes have two flowering types: A and B. 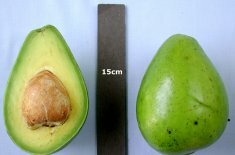 It is a common misconception that avocadoes are either male or female plants. 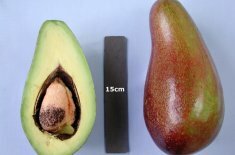 All avocadoes are self-pollinating, and the male and female flowers occur on the same tree. 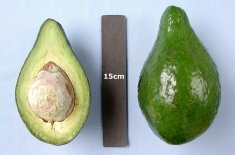 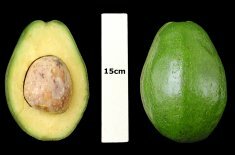 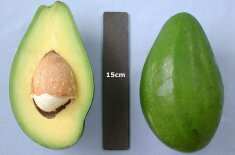 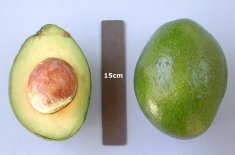 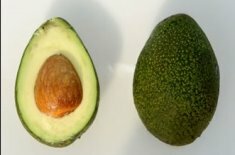 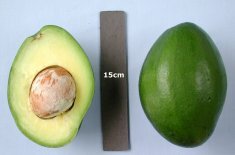 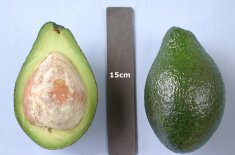 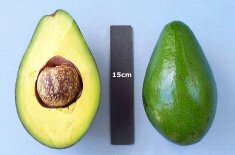 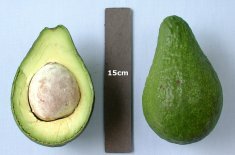 The avocado is unusual in that the timing of the male and female phases differs from variety to variety. 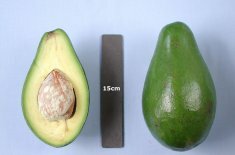 Each avocado flower is open for two days. 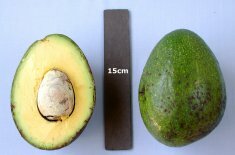 The type A varieties open female in the morning of the first day and male the afternoon of the second. 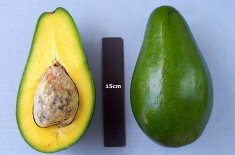 The B type varieties open female in the afternoon of the first day and male in the morning of the second day. 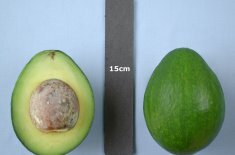 It is absolutely unnecessary to have an A type and a B type present for pollination to occur. 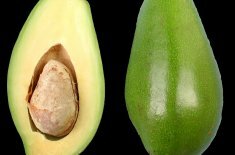 Some varieties, however, do pollinate themselves better than others, and the varieties that have a low score for crop consistency, commercial planting, and home planting are among those varieties. 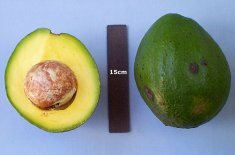 Flower types are sometimes mixed in commercial groves to increase yield by an estimated 1-2%. 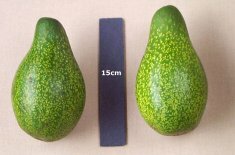 That is an insignificant amount to a home gardener, but in a grove of several hundred acres it can have an impact on the bottom line.